As music, if Spider Man was a mixture between a graceful kind of classical and the average pop, Ghost rider something like black metal, Iron Man is definitely some solid Rock, recorded in a state-of-the-art, high-tech recording studio. Nice. Tony Stark, the head of a big weapons manuafacturing company, is not just good with women, but also a genius when it comes to engineering. He's contributed greatly to creating different kinds of high-tech weapons and tools of mass destruction, and is very proud of what he does. Is, until his very own creations are used against him, that is. Iron Man was one of the movies I'd been expecting to see for the whole spring. I'd heard all kinds of hype about it, some promising that this was going to be THE best superhero movie so far, some saying it was pretty good, nothing that special. I found Iron Man to be very promising, perhaps not the best superhero flick out there (what is then, though? I mean, let's face it, I'm looking forward to Hancock and The Dark Knight, but was the new Batman's prequel THAT good? I can't quite make up my mind...) but definitely, most definitely, worth watching, even more than once. Now, details. First of all, cast-wise, Robert Downey Jr. is an absolutely fantastic choice for Tony Stark. The incurable player, and an engineering genius, he portrays the character with such plausibility that I was thoroughly impressed. Other than that, the cast is quite nice, nothing that really stands out in my eyes (except the hilarious Stan Lee cameo!) at all. Plot-wise, this could be seen as a good prequel to the real iron man movie, presuming the make a sequel, and it's as well made as the first one. Depicting the birth of a superhero is always basic stuff, but a sequel is where the going usually gets rough. As for the possible Iron Man sequel, it has the makings of a very fine movie, perhaps the best superhero film out there; the competition is tough all the same. What I'm saying is that the plot wasn't really magnificent - but you wouldn't expect something like that from a superhero movie where it's all about the birth of the character, now would you? Visually, I don't think I need to say more than excellent. This stuff just keeps and keeps on getting better, and it's just so cool seeing all these superheroes you saw in comics as a little boy, come to life and look simply stunningly detailed and real. I would love to take this movie with a bunch of others back to the 70's and show it to some of the comic fans of that time, just to see the reactions. All in all, Iron Man is a very nice movie. It lacks that something to be a perfect 10, or even a 9,8 for the 10-star rating, but it is definitely a strong 9,1 in my opinion. I understand the people who say that this was nothing that special - it's really all about your expectations. I found this to be very, very entertaining and surprisingly good. I remember kombinaat saying that he was eager to see this one. I also remember saying that I can't believe why someone would want to watch Iron man, it can't be good - and I was right. It wasn't good, but it wasn't bad either - mediocre I would say. 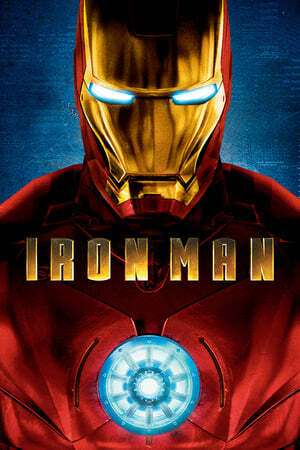 Iron man's yet another superhero movie which slighty differs from the others though and that something different saves this one if Iron man can be saved. The movie's about a weapons developer, Tony Stark ( Robert Downey Jr.), who's an engineering prodigy. While demonstrating his new missile somewhere in Middle East Stark is captured and taken as a prisoner. Hijackers want him to build this new missile of his for them. As Stark refuses he's given some treatment which forces him to agree. While building the missile Stark manages to escape and returns to the U.S. where he announces that his company will cease making weapons. Of course this doesn't satisfy everyone so the engineering prodigy has to find away to stop people from misusing his research.